Four US Marines were killed in gun attacks on Chattanooga military facilities today. US military bases are, idiotically, "gun-free zones". And gun-free zones are targets for murderous psychopaths because it's always, always, always easier to kill unarmed victims. 1. Pallas ruled by Jupiter, indirectly sesquiquadrate Pluto via Venus. Also, Pallas at the IC may be an indicator of willingness to enter into violence. 5. 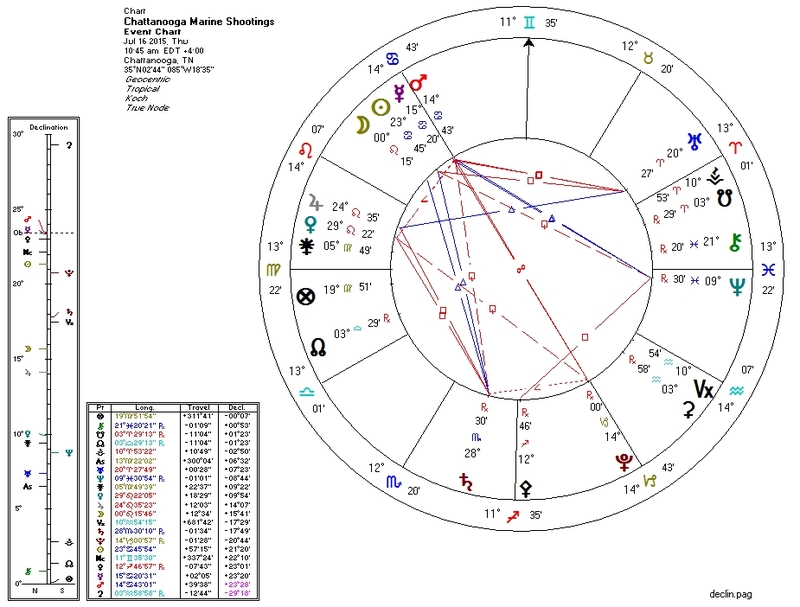 Sun opposite Pluto via Mercury/Mars. This is relatively weak in a number of points, hence the relatively low body count and lack of concurrent mass-killing events.